As a child care provider, I know what it’s like to want to cut down on expenses as much as possible. That’s why my husband and I recently decided to cut-the-cord on our cable and landline. A triple play bundle service we were paying up to almost $250/month which included tv, phone, and internet. Originally when we signed up for this plan it cost us an introductory price of $99.95/month and if my memory serves me correctly that was with a two-year contract. Unfortunately, the introductory price is no longer available, and the two-year contract plan is undesirable. So the “more than doubled bill” has got to go. With that came the decision to eliminate our landline. We were paying $44.99 a month (That’s a date night out with the husband!) Pretty insane if you think about it especially since we both have a mobile. And why pay for something when you can get your own business line separate from your landline and mobile for FREE! That is WHY we decided to use Google Voice, a MUST HAVE for your child care business line. Reason number one to use Google Voice is, yes, because it’s free! Sounds too good to be true right? I know I thought the same thing when I first started using it, but nope it’s free for receiving incoming calls. You get your choice of either a brand new phone number from Google or to use your existing mobile number. Of course, I chose to get a brand new number for my business! It only made sense to keep my business line separate from my personal mobile number. And who wouldn’t want that? With this brand new number for my business, I no longer have to give out my personal mobile number or landline number (if I had one). I could now have a completely separate line for all my business needs. Along with that, I can actually have a personalized greeting for my business. Instead of “Hi, you’ve reached the McGregor family.” I can customize the greeting to say “Hello, you’ve reached Shadow Oaks Daycare.” You now sound like a professional business, a HUGE BONUS for both you and your callers. Another great benefit to having Google Voice is I can forward all of my calls to any phone number or phone numbers of my choice. That’s right, I can have my Google Voice number ring my mobile phone, and/or my landline if I still had one. How convenient is that! How do I know it is a call to my Google Voice number when I receive an incoming phone call? There’s a setting (Caller ID) to display my Google Voice number on incoming calls. That’s how I know. This setting is perfect for my needs and allows me to answer the phone in a more professional manner like mentioning my daycare business name instead of just saying hello. All my clients dial my Google Voice number, whatever it may be, and my personal mobile begins to ring alerting me of a call from my daycare business line. Brilliant! To take it even a step further you can setup your account so that if someone calls you directly and you don’t answer the call it can then ring your other phone lines before going to voicemail. Never miss a call! Do you ever find yourself in a situation where you are getting a call from your landline while you’re bottle feeding or have a sleeping child in your arms and your cell phone is right there in arms reach? You wonder if a parent is trying to get a hold of you or if someone is calling to inquire about your business. Well, this solves just that! By having your missed calls forwarded from one phone to another you’ll be given the opportunity to answer that call in question. Not only can I forward my calls but I can forward my transcribed voicemail messages too! Google thought of it all! You can choose to get notifications on new voicemail messages via text and/or email. Or get direct access to your voicemail inbox by calling your Google Voice number from your mobile phone. All of your voicemail messages right at your fingertips. Add your Child Care Assistant to receive voicemail messages left on the company business line by text message. Or simply forward transcribed voicemail messages received by email to your assistant’s email address. Now I’ll have to say these transcribed voicemail messages aren’t perfect, but you will get the gist of what the person is trying to say most of the time. As it all depends on how clear the message comes through for Google to translate. But no worries, you’ll have the opportunity to play the message back if the transcribed message is not clear enough to figure out. Ok, I wasn’t going to add this, but this is such a great feature so I had to share. The ring schedule setting of Google voice allows you to setup whether or not you want your phone to ring on a weekend or weekday. So if you’re anything like me and don’t want to be disturbed with business over the weekend you can choose that the phone never rings on a weekend and instead goes directly to voicemail. You can also set up custom ring schedule for time of day. For instance, if your business hours of operation is from 7:30 AM to 4:30 PM, you can customize your ring schedule to NOT ring your phone for specific times. Using this example, you would set up a do not ring schedule from 4:30 PM to 7:30 AM. Eliminate landline and cut down on expenses. 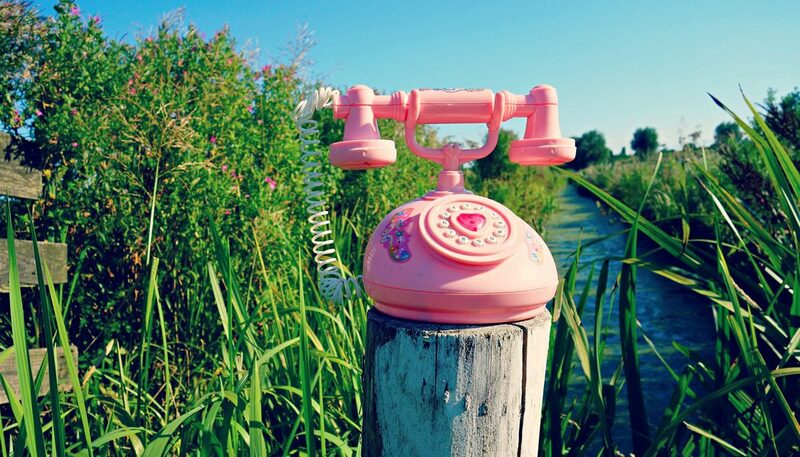 Keep your business line separate from your personal phone line. Setup voicemail greeting message as a business greeting. Forward calls to your mobile number and/or landline. Display “Google Voice” caller ID on incoming calls. Ability to answer calls as a business. Send calls to alternate numbers if not answered. 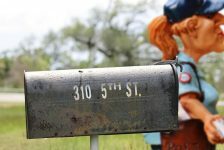 How Do You Get a Google Voice Business Line? I’m glad you asked, here’s HOW. There are tons of YouTube videos out there to watch or you can visit the Google Voice Help Center to get you started. Most of these resources include step-by-step instructions on how to get a Google Voice line to help get you on your way. You’ll need to create a Google account but can use your own email address instead of a new Gmail address if you prefer. And why you’re at it…DON’T FORGET to download the Google Voice app on your mobile phone. Yes, there’s an app for that! Another BONUS, and from what I hear Google Voice recently relaunched with a few new features, like support for photo-sharing, group conversations, Spanish-language voicemail transcription, and more. 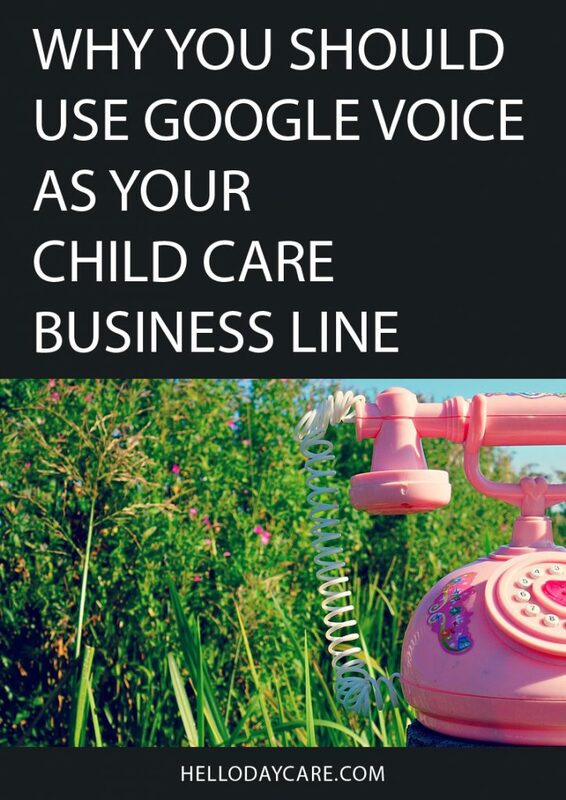 Just a couple more reasons why Google Voice is essential for your child care business needs. 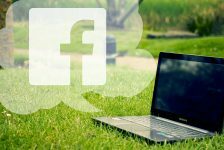 Do you use Google Voice? Tell me how it has benefited you in the comments below.